The loss of something as fun and rewarding as recess might seem as though it would be a powerful motivator. The problem is that kids with ADHD who are active and impulsive need more opportunities for physical outlets, not fewer. Some teachers try to incorporate consequences by having students lose a portion of recess rather than the whole activity. So for a six-year-old, your child may lose the first five minutes of recess for an infraction. The other idea is to limit the activities at recess rather than the recess itself. For example, the punishment results in fewer choices of play activities on the playground. Your child may love playing kickball at recess, but he may lose that privilege for a large enough infraction. Instead, he must choose other play activities during recess. 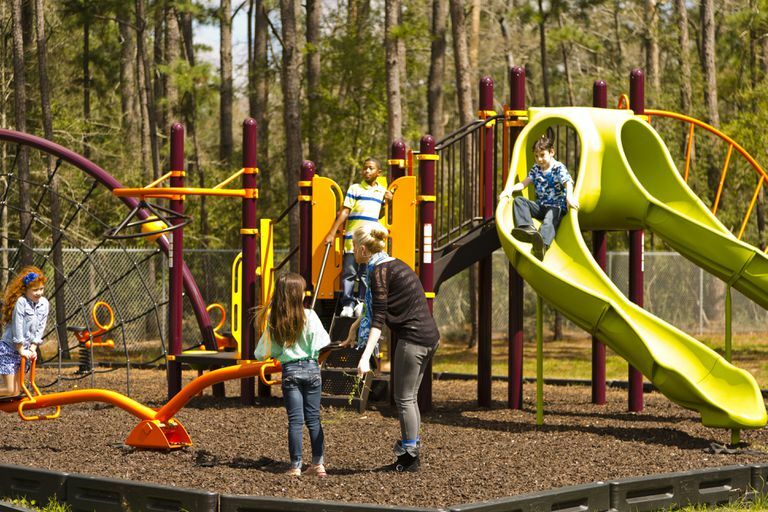 It is best to figure out other ways to provide consequences and protect recess time for kids. Recess is an important part of the school day for all kids, but it is especially important for children with ADHD who benefit from the physical movement, exercise, play, and social opportunities that recess provides. Loss of recess time for a hyperactive child is not only counter-indicated, it is counterproductive. If your child has an IEP or 504 plan you can specifically have it written into his plan that recess will not be taken away as a consequence. For students with ADHD who are struggling, it often helps to take a step back and look at the picture more widely with the teacher. We know that the symptoms of ADHD result in difficulties in certain areas. We can anticipate some of the problems that a child with ADHD may have and get proactive interventions in place to help prevent some of the behavior problems and teach new skills. The way you structure and adapt a child's environment can have a huge impact on the symptoms and on a child's success. You may want to meet with the teacher and see whether there are aspects of the classroom environment that can be modified to help your child be more successful. It can also be helpful to get more information about the context in which the problematic behaviors tend to occur most frequently. Understanding the antecedents to problematic behaviors can often decrease the need for negative consequences. Also, is it possible to catch the behaviors and redirect them before your son's behavior escalates to the point of a color change? The other question to ask would be is there a way to shift consequences from negative to positive? This way you are positively reinforcing the behaviors that you want to see, shaping his behavior and increasing the likelihood that the appropriate behavior will occur again. Kids with ADHD often hear a lot of negatives and indeed their behavior can be quite frustrating. The teacher may already be incorporating a lot of positives into the school day, but this might be something you can assess with her. Kids with ADHD who have experienced repeated frustrations and failures really do need a lot of support and encouragement. So make sure she is praising him often and loudly when he is engaging in appropriate behaviors. Richard Lavoie, a former teacher, school administrator, and expert in ADHD and special education, emphasizes the importance of this approach and refers to it as remaining "success-oriented" with children through reinforcement, praise, and encouragement. If the excessive, disruptive talking is an issue in the classroom, you might want to talk with the teacher about implementing a token reward system where your son earns points or chips for raising his hand and waiting to be called on to talk. If you decide to do this, bring your son into the planning, problem-solving, and decision making, so he understands and is invested in the program. Have him chose rewards he would like to earn. They don't have to be large; it could be extra time on the computer, being able to pair up with a friend for an activity, being the line leader, earning extra free time, etc. The teacher will need to give him feedback about his behavior frequently to help keep him on track. Also, keep in mind that you may need to change up the rewards regularly to keep his interest. It would be great for the teacher to give your child lots of opportunities for leadership in the class, as well. For example, having him run small errands for the teacher such as taking a note to another classroom, returning the class storybook to the school library, passing out papers to classmates, having him help clean the whiteboard, sharpen pencils, etc. These are all things he can earn with appropriate behavior. Not only do these activities allow him physical outlets for channeling his hyperactivity, they also increase feelings of competence and self-esteem. It is helpful for the teacher to incorporate physical outlets into the school day for your child anyway. She can do this by making sure he has active movement time after each sedentary study time. It is quite difficult for a hyperactive, impulsive child to remain quiet and seated, scheduling in regular opportunities for movement can help prevent problems. It is hard because excessive talk is a symptom of ADHD. It is a skill deficit associated with ADHD. Kids with ADHD have trouble controlling their impulses and tend to respond immediately to their environment. They respond and react without thinking and the verbal hyperactivity can be very difficult for him to reign in without a lot of support and guidance. Children with ADHD need a lot of reminders, prompts and cueing to help them pause, slow down, and stop themselves before reacting. Your child and his teacher may want to come up with a signal she could give to him to remind him when he is beginning to interrupt or talk excessively. He may even want to tape a visual reminder on his desktop; it could be a small photo of someone raising their hand to talk or any sign or symbol that would help him remember to stop and think. If he begins to escalate, the teacher can point to the photo or use their signal to help redirect him. If the disruptive talking is an issue particularly in group activities in the classroom, another idea is to remove him briefly from the group activity. He shouldn't be removed from the class because he will miss learning opportunities, but just separating him somewhat from the group may help. Group settings can be very stimulating for a child with ADHD and many benefit from taking a little time away to decompress and regain control. This doesn't need to be a punitive move but instead can be a strategy that he uses to settle himself. Since kids with ADHD often have such trouble inhibiting and controlling their reactions (and especially young children like your son), they really do benefit from more external regulation, monitoring, and guidance from the adults in their lives. You may also want to share your concerns with your child’s doctor and discuss whether or not medication would be appropriate to consider to help him better manage the verbal hyperactivity and impulsivity. If your child is already on medication, then you may want to discuss evaluating the medication dosage and/or timing of the administration of medicine in light of behavior problems.